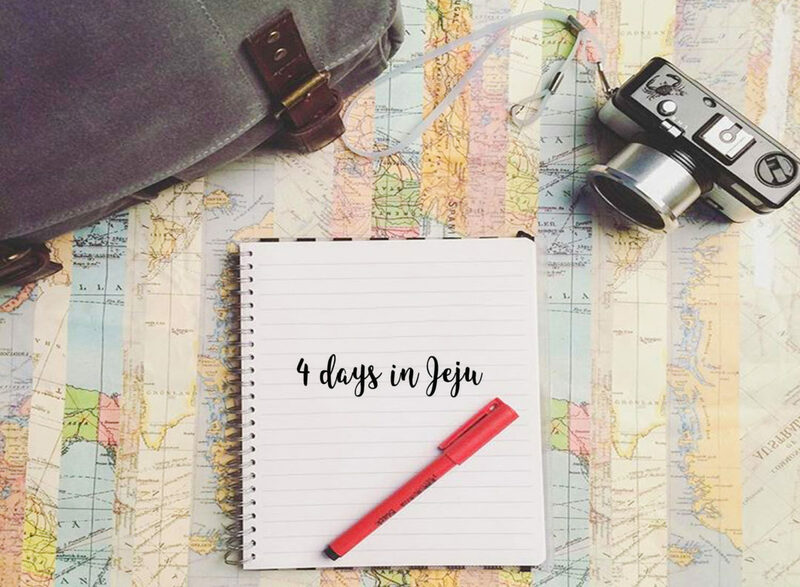 We flew to Seoul and caught a connecting flight to Jeju. You can take a ferry as well but it takes really long and if you have limited travel days, you’d probably want to avoid this option. Plus flights are not too expensive out of Seoul. 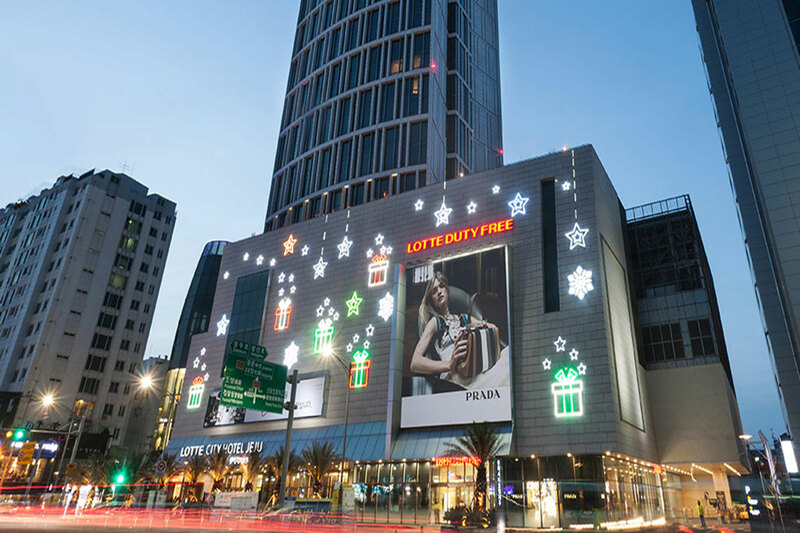 We booked our stay at the Lotte City Hotel which is ‘downtown’ and situated north of the island. 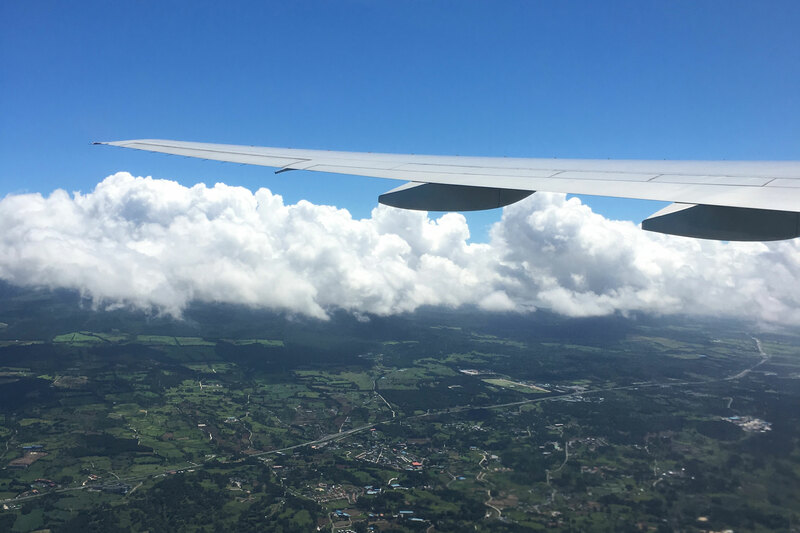 It is also just about a 15 minute drive from the airport. You could stay in the south closer to the beaches as well – it totally depends on what you want. Public transportation is pretty much widely available. There are bus stops all around the island and a main bus terminal near the airport. You can take taxis as well but they are rather expensive, especially if you want to go to more than one area in a day. Heads up though, you could face a bit of a language barrier. We had our international driving license on us, so we just rented a car via booking.com. Summer is peak travel period, so if you are planning to rent a car, you might want to do this well in advance. It’s real easy and personally, I feel it is the most effective way to pack in as much as you can. 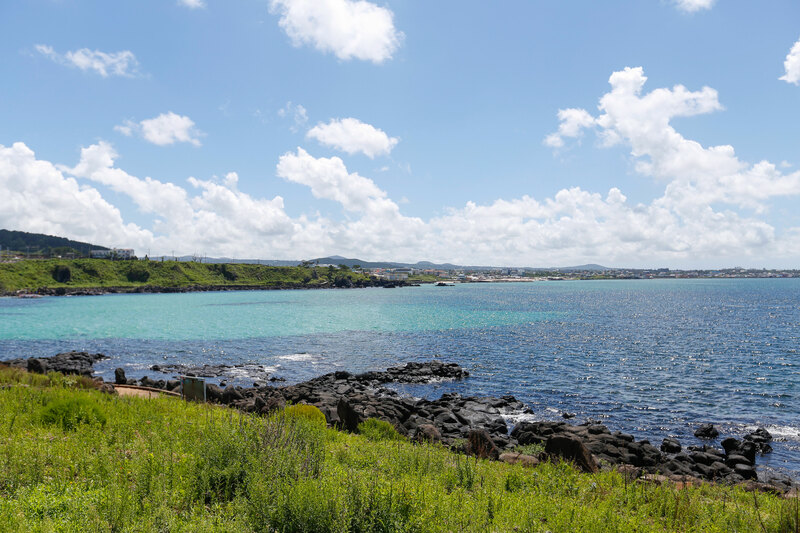 There is an abundance of activities and attractions in Jeju. Don’t try to squeeze in too many things but instead, enjoy the beauty that it has to offer and explore some of the main highlights. Tip: Google map doesn’t work for car and walking routes. I am not too sure why this is the case, so make sure you have an alternative map app (we used Waze) or are able to decipher a Korean GPS system! 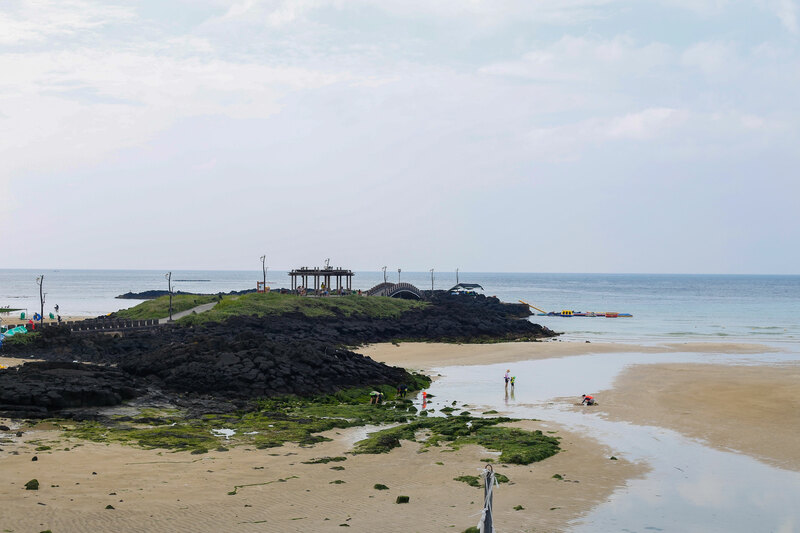 Located 14 km east of Jeju City, Hamdeok Beach is famous for its clean and shallow blue waters. It is however, filled with tourists and not as secluded as one would like it to be. So if you are looking at something a little more remote, I’d suggest you drive down to Woljeongri Beach. It is quite unknown to most visitors due to its small size and location and a lot of tourist books seem to have missed it. 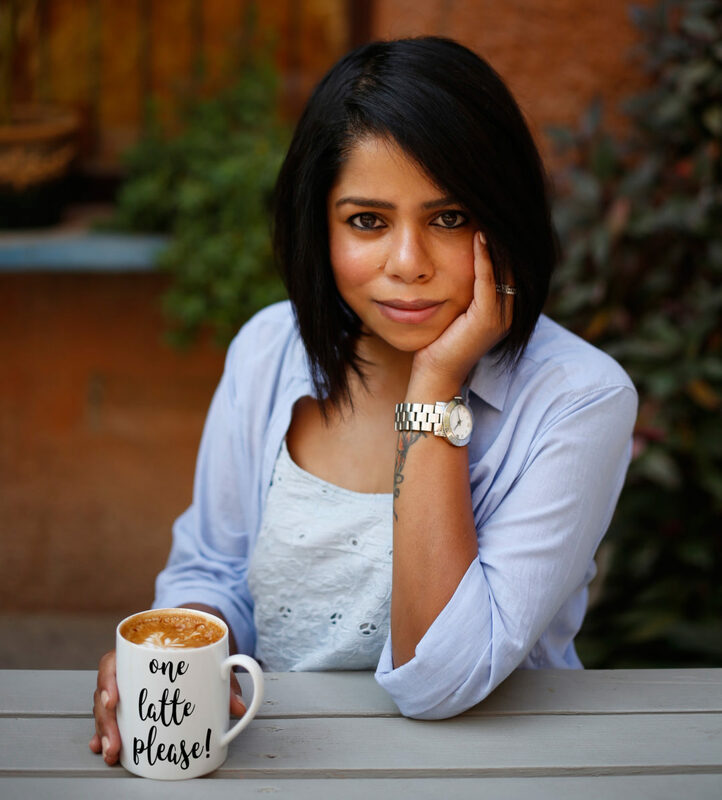 Where there is good coffee, you’ll find me not too far away. 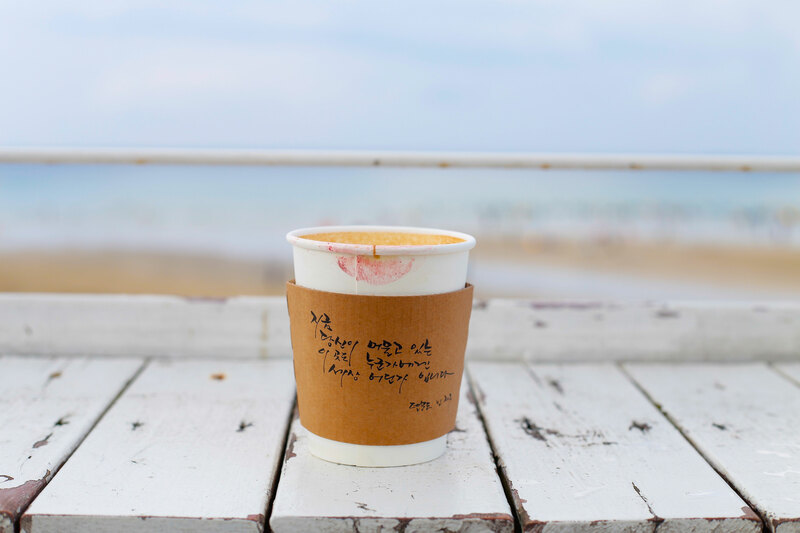 Delmoondo, a picturesque little cafe, is perched right by Hamdeok beach. 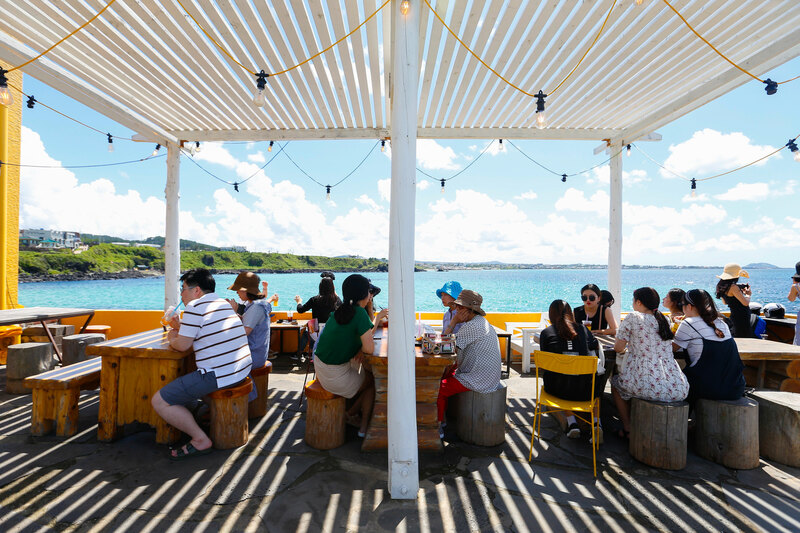 An awesome place to sip on a hot or cold cuppa like the locals do while basking in the sun on the cafe’s terrace and taking in the view. They also have pretty delicious sandwiches and cakes if you looking for a quick bite. 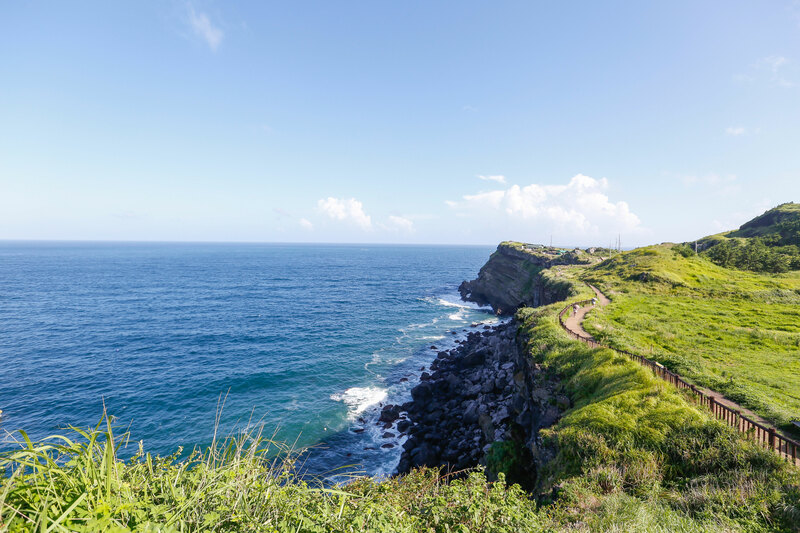 Located on the eastern end of Jeju Island, Seongsan Ilchulbong Peak, a UNESCO World Heritage site, rose from under the sea in a volcanic eruption over 100,000 years ago. It is a 2$ entrance fees and a 208 meter climb all the way to the top, but the view makes it all worth it. The sunrise and the sunset from the crater is truly magnificent. Also the Seongsan Ilchulbong Peak is surrounded by bright yellow colored canola flowers during spring season and it is a sight to behold. Located on the north west of the island is the gorgeous district of Aewol. 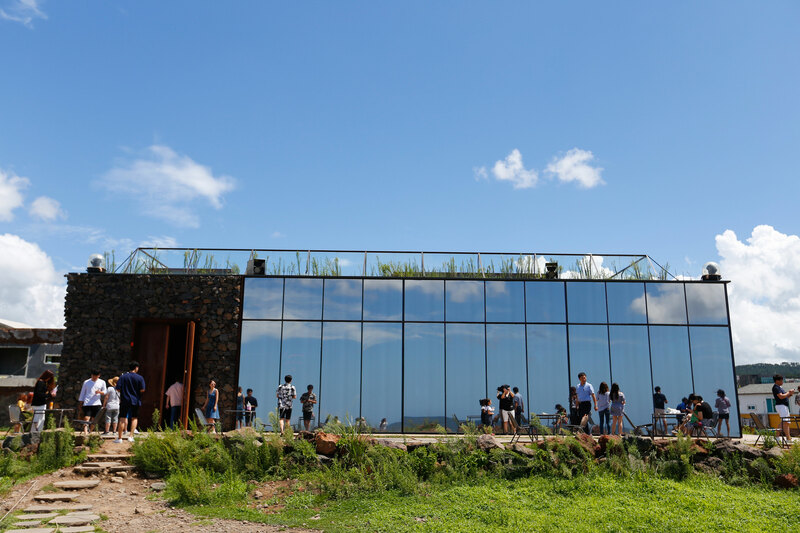 With views of the Jeju ocean and plenty of eateries and cafes, it is definitely a place you want to visit especially if you want to unwind and rest up. 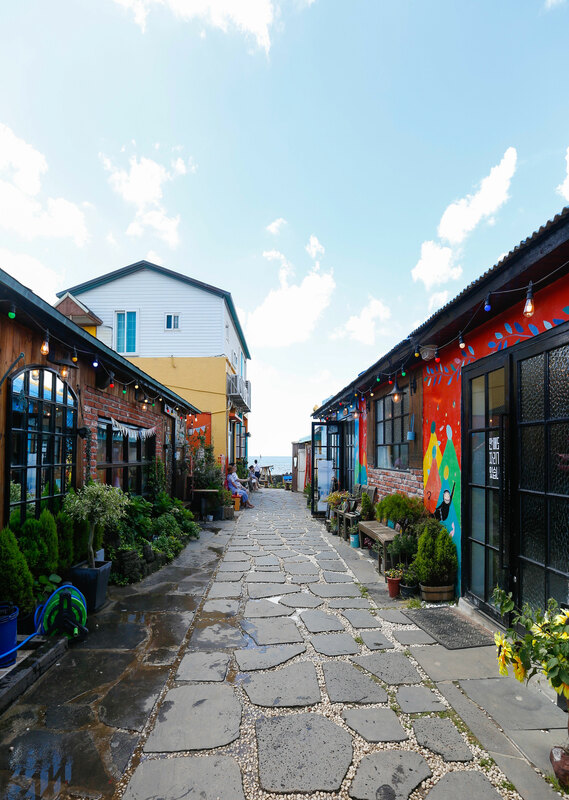 Of course, Aewol is most well known for the Cafe Monsant – run by the famous K-Pop idol group called Big Bang. The simple and modernist box form was designed to blend in with the landscape, and make the surroundings stand out instead of the actual structure itself. The interiors are stylish and modern plus you got an amazing ocean view! This place is extremely popular with locals and tourists. So be prepared to wait. We got lucky and found a table by the window. It has a limited menu with nothing fancy but the food is delicious. 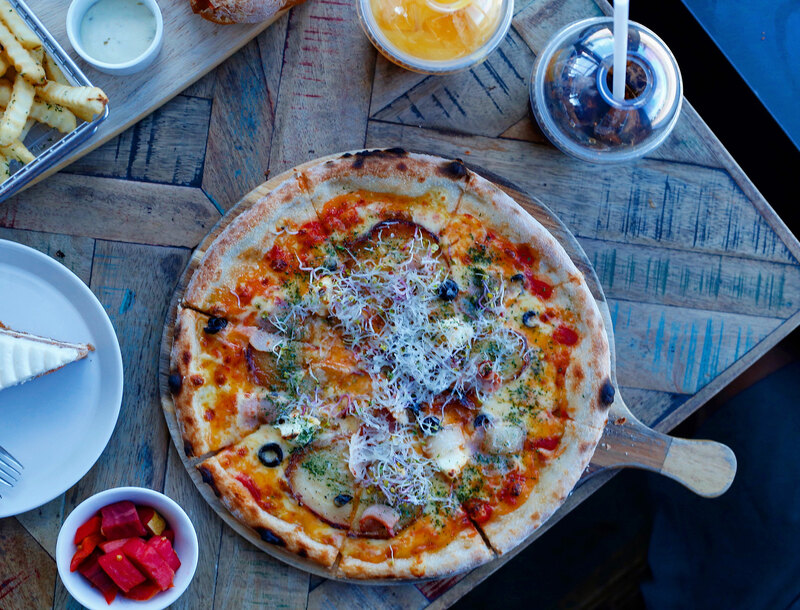 A bit expensive compared to other eateries in Jeju but well worth it. 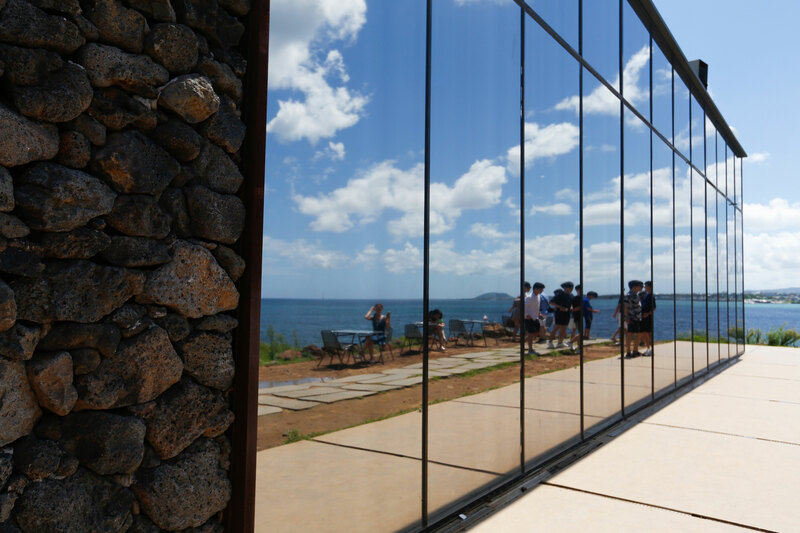 The facade of Monsant is made out of stone and reflective glass windows. Beautiful! Once again, witnessing the sunset here on a clear day is suppose to be quite the sight. 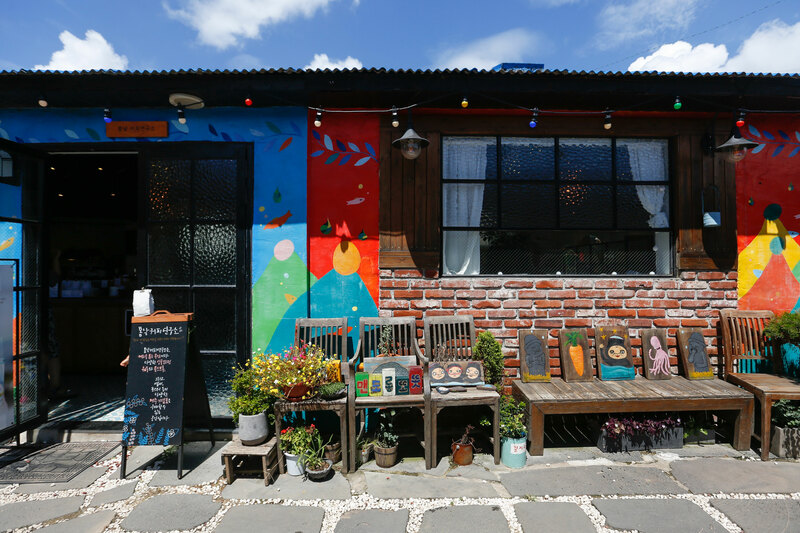 Right around the corner of Cafe Monsant, is this quirky and quaint cafe that does a mean cup of coffee. 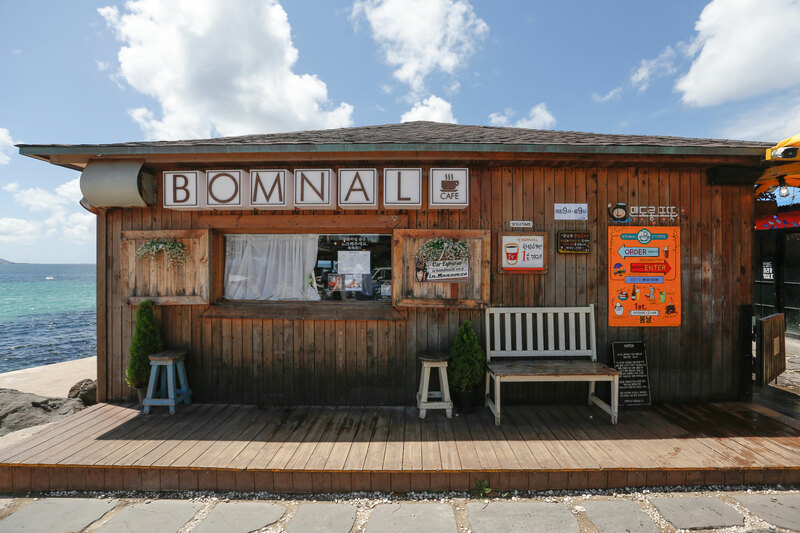 Make the time to enjoy a cup at Bomnal Cafe – just look at it! Who wouldn’t want to enter! And you get to enjoy this!! #HolidayGoals achieved! The perks of having a car to yourself is you get to stop when you want to. We picnicked here and just sat and admired the view before moving towards Songaksan Mountain, situated in the South-west corner of the island. 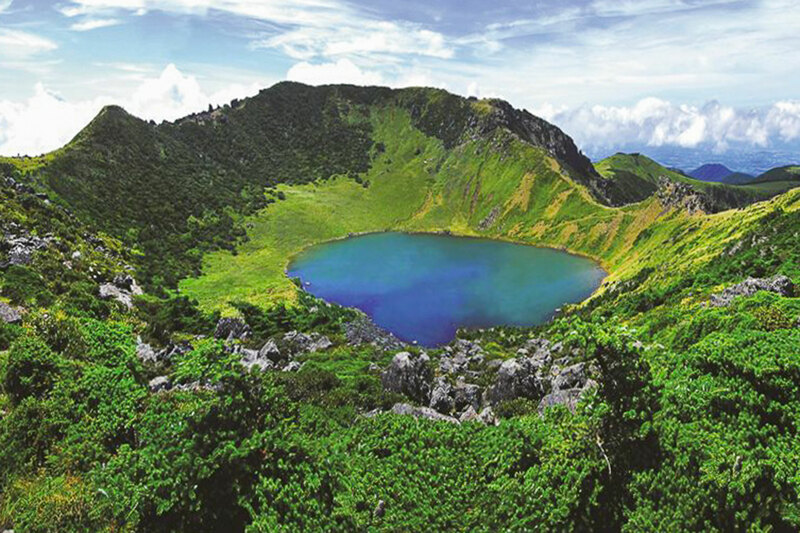 Songaksan Mountain is also called 99 Peaks and the main peak rises 104 meters above sea level. There is a crater about 500 meters in diameter and 80 meters in depth, with some volcanic ash still remaining inside. 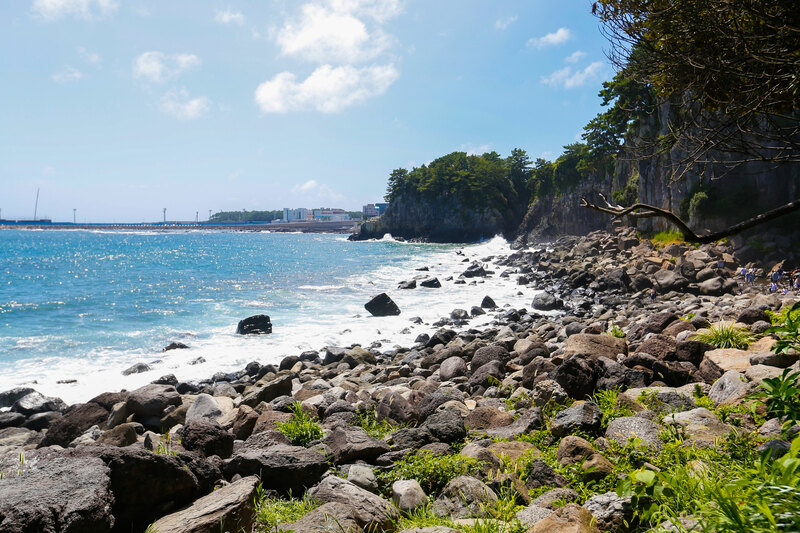 The jagged coastline, the turquoise waters and the lush green landscape makes for some really breathtaking views. 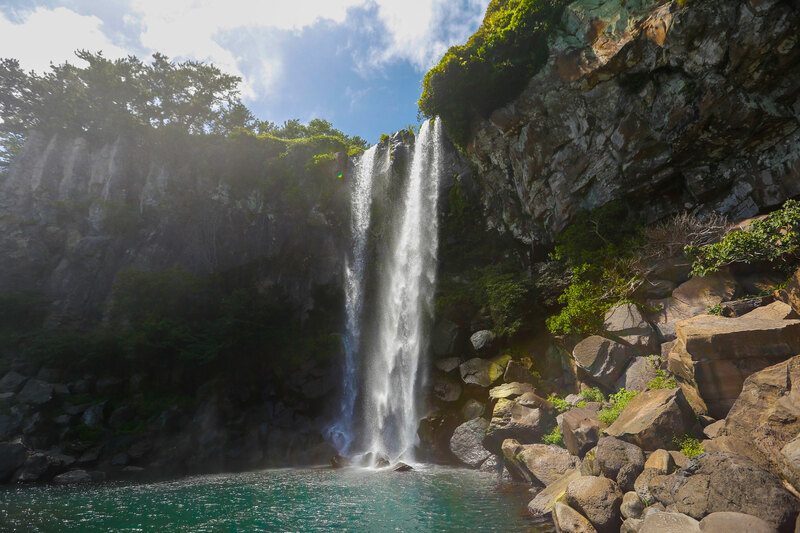 Jeongbang Falls is one of the most famous waterfalls of Jeju and it is also the only one in Asia to fall directly into an ocean. Tip: Only visit if it is a clear/sunny day. Otherwise, the wind, rain and strong currents can make it quite dangerous to be here. This 23m high waterfall is one of the more popular tourist spots so, I would recommend coming here first thing in the morning. The stairs down to the waterfall are wooden and it is a steep climb back to the top, so be careful! It is a 2$ entrance fee. There are two other very picturesque waterfalls, the Sojeongbang falls and the Cheonjiyeon falls. We didn’t get a chance to visit all but if you do have the time, I suggest you make the trip there. 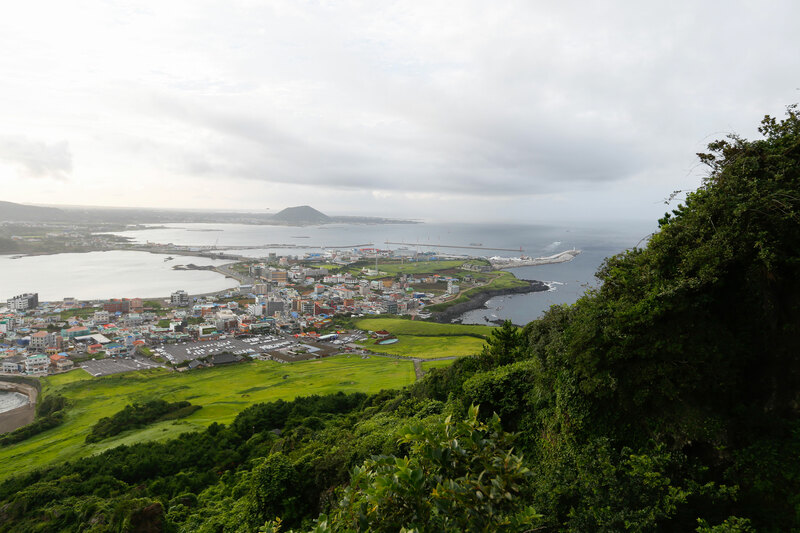 Hallasan Mountain, a UNESCO World Heritage Site, rises up from the center of Jeju and is perhaps the island’s most recognizable landmark. 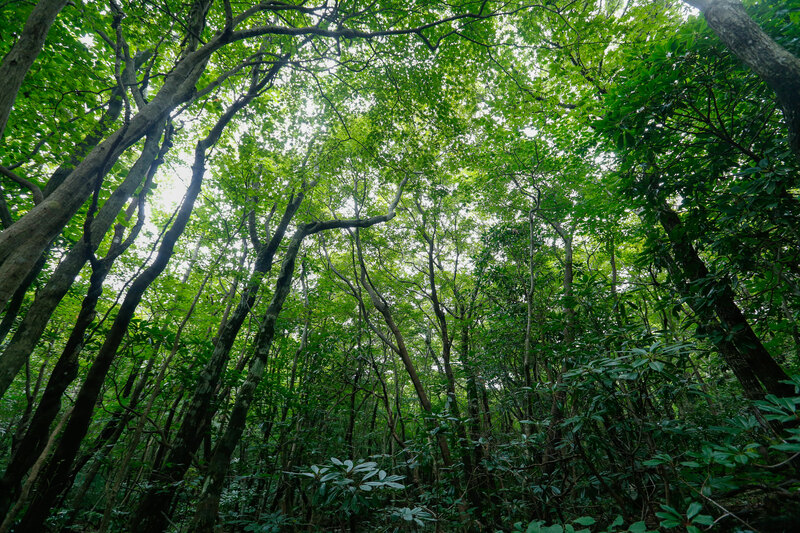 To explore the mountain, simply follow one of the well-developed mountain hiking trails. Having said that, hiking here is limited only to daytime, and mountain entrance hours (which vary by season) are strictly enforced to allow hikers to climb down the mountain before sunset. Be prepared to wear climbing shoes due to many uneven rock surfaces, and carry a huge bottle of water to keep you hydrated. You’d probably have to set aside a whole day to complete this. And this is the view when you reach the top! Magnificent isn’t it! Like I mentioned before, it will be impossible to fit in everything on a short trip. But if you do have time, be sure to include the Manjanggul Cave, the Jusangjeolli Cliffs and the O’ssuloc Tea Museum. I have heard that they are quite amazing. 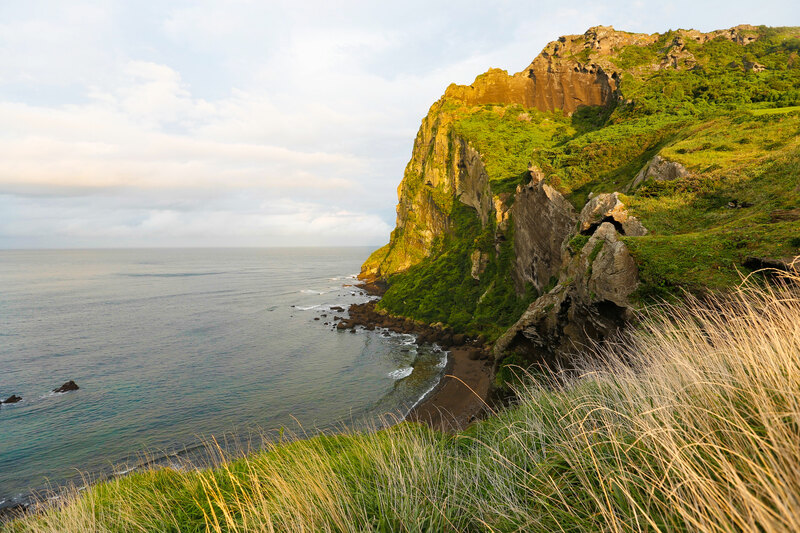 Also, check out The Official Jeju Island Guide by Korea’s Ministry of Tourism. 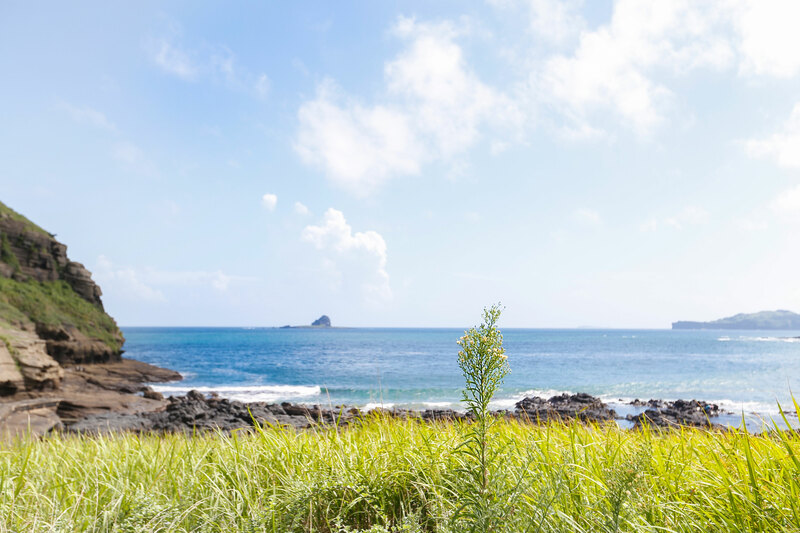 Jeju experiences all four seasons, so do keep that in mind before planning your trip and activities, as you may or may not be able to do all of them. If you need to know anything else, ask me in the comments box below and I’ll try to help you out as much as I can. Disclaimer: All photos and opinions are my own unless stated otherwise.